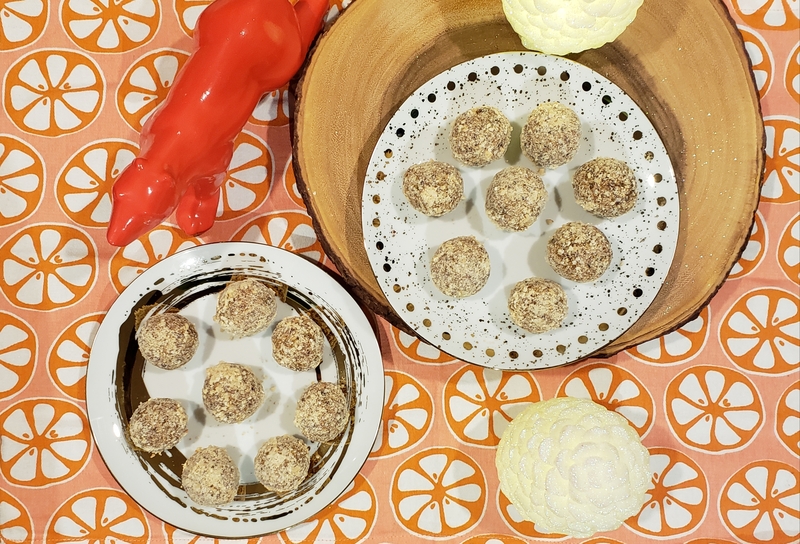 Need an afternoon pick me up instead of going to the coffee shop for a coffee; try this energy balls. 1. Toast cashews and sesame seeds in separate dry non-stick pan over medium-high heat and let cool. 2. Remove 1 ½ oz of cashews and crush in a food processor and place on a plate. 3. Add remaining cashews, sesame seeds, apricots, raisins, dates and puffed rice in a food processor until finely chopped. 4. Peel and finely grate ginger and add spices and process. 5. Then add honey and process for 1 to 2 minutes. 6. Add more honey if necessary to help mixture bind; just be patient. 7. With wet hands divide into 16 portions and roll into balls. 8. Drop into ground cashew dust and store. •	Will keep for up to 2 weeks in an air-tight container. 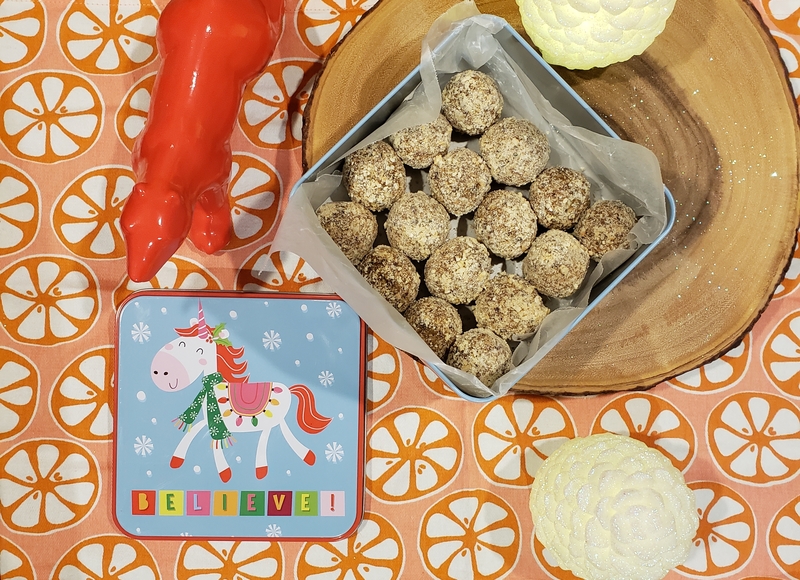 These energy balls are spiced so well and have a great after kick of ginger. I was worried for a bit that the mixture wouldn’t come together; but I just divided my batch in half in the food processor. These energy balls were well received and especially since no additional sugar was added, this was a real happy treat. I gave this batch away as a gift and I can’t wait to make a batch for myself in the New Year. A vegetarian carpaccio what a unique idea. 1. Wash and peel beets and then using a mandolin finely slice the beets and place in a large bowl. 2. Drizzle with balsamic vinegar, one tablespoon of extra virgin olive oil, a good pinch of sea salt and then squeeze half of a lemon. 3. Toss together and ensure each beet is well coated as this will tenderize the beets. 4. Using a small bowl, whisk mustard, Worcestershire sauce, yoghurt and the remaining lemon juice and ¼ cup extra virgin olive oil and set aside. 5. 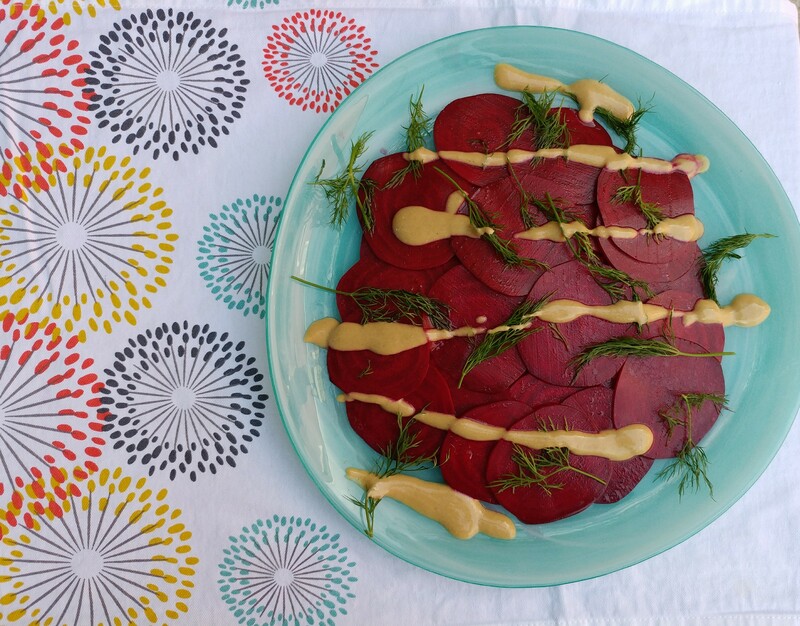 Arrange beets over a large serving platter and sprinkle dill over top. 6. Drizzle the dressing and serving extra dressing on the side. 7. Dollop some yoghurt on a serve (if desired). •	Use gloves if you don’t want beets stained hands. I didn’t use gloves; but I didn’t mind. •	The recipe called for arugula I used dill instead due to availability. •	Serve with warm crusty bread, goat’s cheese. •	Use heirloom beets eg white, golden, Chioggia (candy cane)beets and swap out the balsamic vinegar for a herb vinegar so the beets won’t get discoloured. The smell of this starter was irresistible; the fresh dill filled the air with the tangy mustard yoghurt dressing. This is a great way to start a Christmas dinner. I would have this salad any time of year. I don’t have beets all the time; but when I do I remember how much I love these things especially raw. 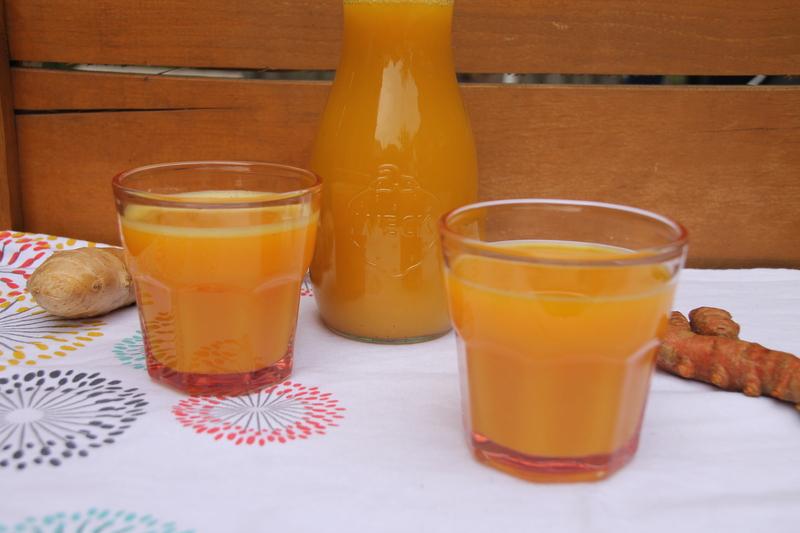 Sunshine in a cup with oodles of health benefits. 1. Add all ingredients together into a blend and blend. I love the colour and smell of this smoothie and I can totally handle turmeric now. It’s all about the dosage and now that I am using the right quantities and not purchasing turmeric cold pressed juices. I am a huge fan now and I notice all those health benefits associated with this root in this smoothie. Cook Time: 1 hr 25 min. 1. Preheat oven to 400°F and roast red peppers coated in olive oil for an hour. 2. Finely chop oregano and place in a bowl along with turmeric, salt and pepper and olive oil. 3. Add chicken to the marinade and set aside. 4. Blanch greens in a large pot of boiling water under just tender and reserve water. 5. Add couscous to the just boiled greens water and season and let sit for 10 minutes. 6. Add mint to couscous and squeeze in half a lemon. 7. Toast hazelnuts in a dry non-stick frying pan over medium-high heat and crush in a pestle and mortar slightly. 8. Cook chicken over high heat in a cast-iron skillet for 4 minute on each side until cooked through. 9. Remove stems from red peppers and set aside. 10. Reheat greens if needed. 11. 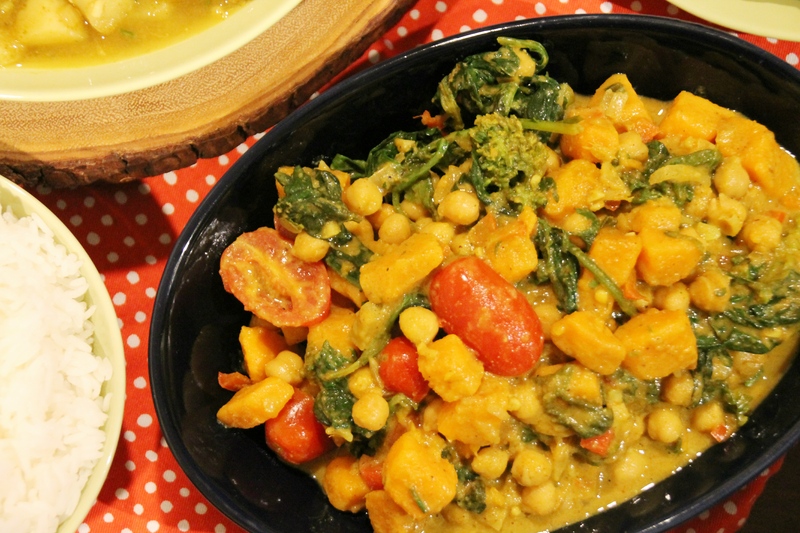 Place chick peas in a food processor along with olive oil, lemon juice, garlic and salt and blend. 12. 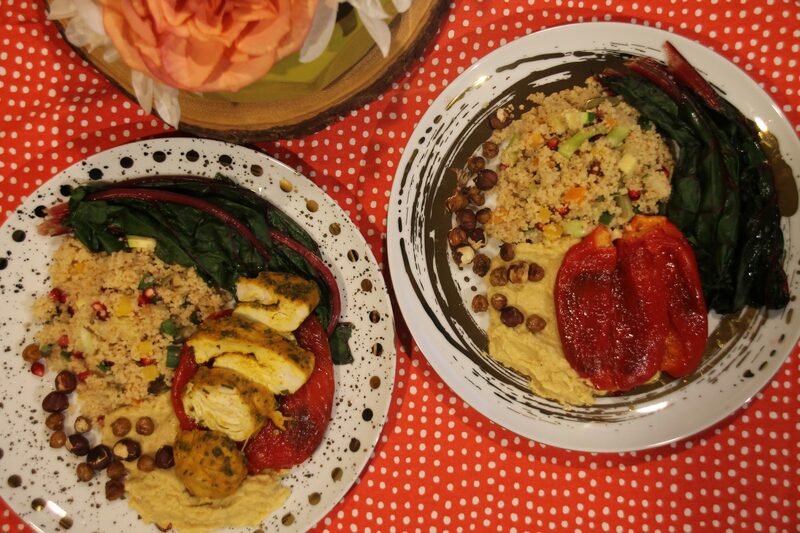 Serve chicken with couscous, peppers, greens and hummus. 13. Add hot sauce if desired. This is one of my favourite recipes. It combines all the components I enjoy except I wasn’t a fan of the hazelnuts. Marinating the chicken in turmeric gave it a lovely colour and taste and my favourite part was the roasted red peppers and the lemony bright hummus. As a plus I boosted my iron level some and I love that there can be a vegetarian and meat option. 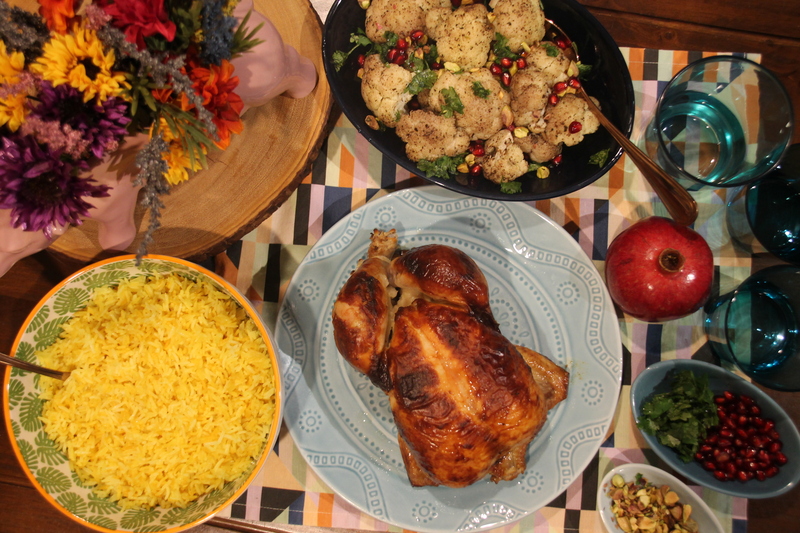 The perfect weekend family dinner with and Southern and Persian twist. 1. The day before you want to cook the chicken remove the wingtips by cutting through the first wing joint with poultry shears or a sharp knife. 3. Season chicken generously with salt and let sit for 30 minutes. 4. Stir 2 tablespoons of kosher salt or 4 teaspoons of fine sea salt into the buttermilk to dissolve. 5. Place the chicken in a re-sealable plastic bag and pour buttermilk in. 6. If the chicken won’t fit double up two plastic grocery bags to prevent leakage and tie the bag with a piece of butcher’s twine. 7. Seal it and squish the buttermilk all around the chicken, place on a rimmed plate and refrigerate. 8. If you’re so inclined, over the next 24 hours turn the bag so every part of the chicken gets marinated, but that’s not essential. 9. Pull the chicken from the fridge an hour before you plan to cook it. 10. Preheat the oven to 425°F with a rack set in the center position. 11. Remove the chicken from the plastic bag and scrape off as much buttermilk as you can without obsessing. 12. Tightly tie together the legs of the chicken with butcher’s twine. 13. 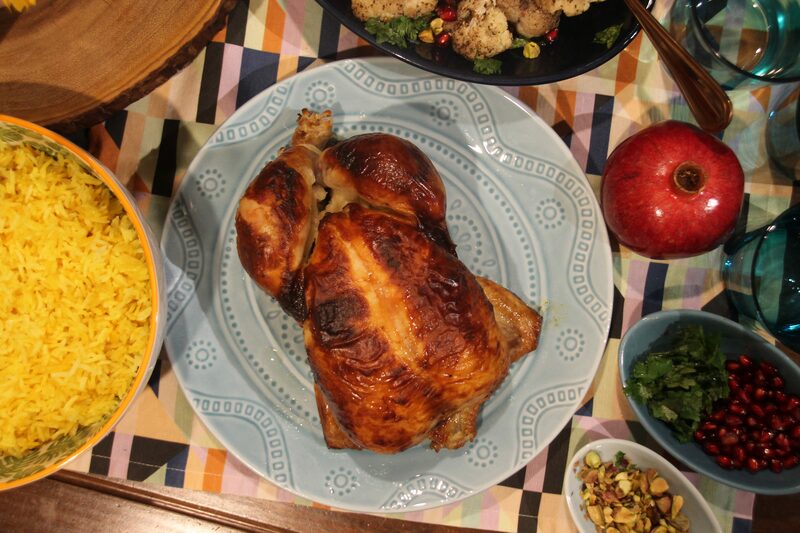 Place chicken in a 10” cast iron skillet or shallow roasting pan. 14. Slide the pan to the back of the oven with the legs facing the back. 15. After 20 minutes reduce heat to 400°F and continue roasting for 10 minutes and move the pan allowing another side to brown. 16. Continue rotating so that all sides can brown and continue to roast for 30 minutes or so until juices run clear. 17. Let rest for 10 minutes before carving and serving. •	Know your salt and how much to add. 1. Rinse rice a few times until water runs clear. 2. Add water to pot and over medium-high heat boil. 3. Once water has boiled bring temperature down and simmer for 20 minutes. 4. In a small bowl mix, turmeric, saffron, a little water and canola oil and set aside. 5. As rice is steaming bore holes into the rice with the end of a spatula. 6. Pour turmeric saffron mixture over rice. 7. Wipe pats of butter around the edges on the pot and continue to cook. 8. Continue to cook until the bottom on the pan forms a crust. 9. Flip unto a plate and serve. 10. 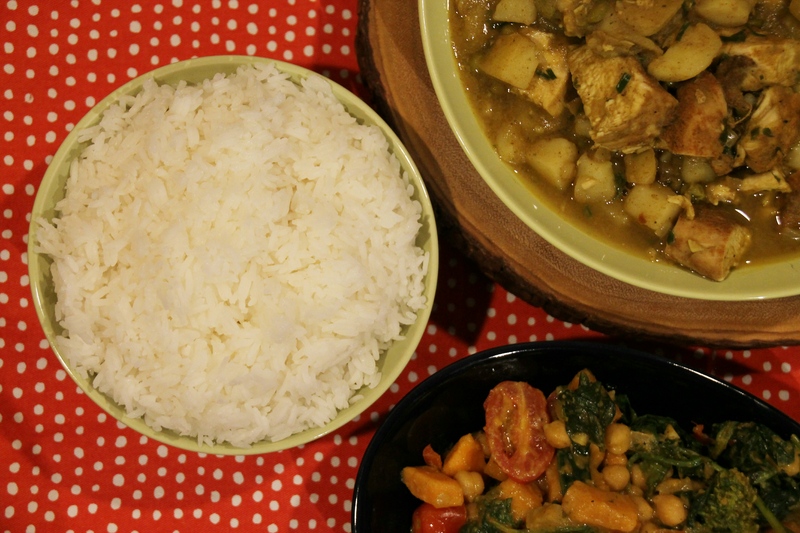 Optional – just flavour the rice with the turmeric and saffron mixture and serve in a bowl. •	I have never been a fan of burnt rice and as a West-Indian child, I have come across this many a time, so I opted for jus t flavoured rice. 1. Using a medium sized saucepan, steam cauliflower until just tender as set aside in a bowl. 2. Pour lemon oil, sumac, cumin, thyme into bowl and coat using hands. 3. 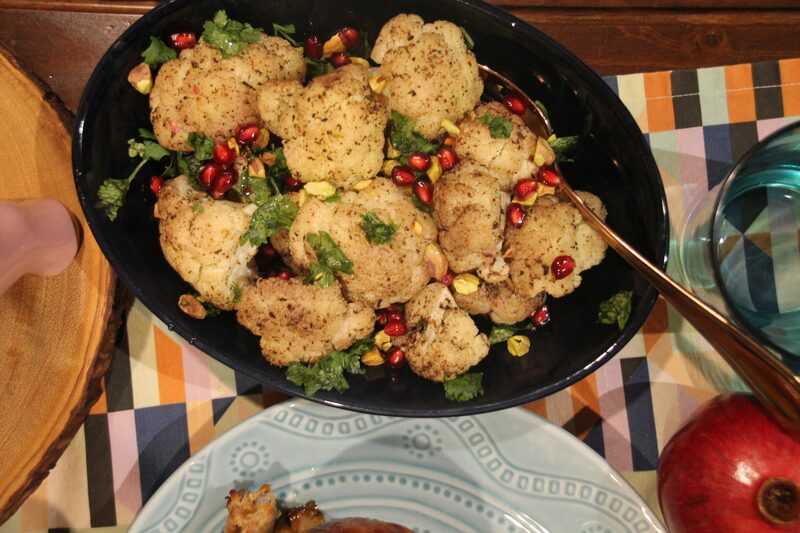 Sprinkle pomegranate seeds, cilantro, pistachios and drizzle with pomegranate molasses. The chicken was salty and briny and the buttermilk marinated chicken made the chicken so succulent and simple. This was my first time using buttermilk in any of my cooking or baking as I have never understood the concept of sour milk. 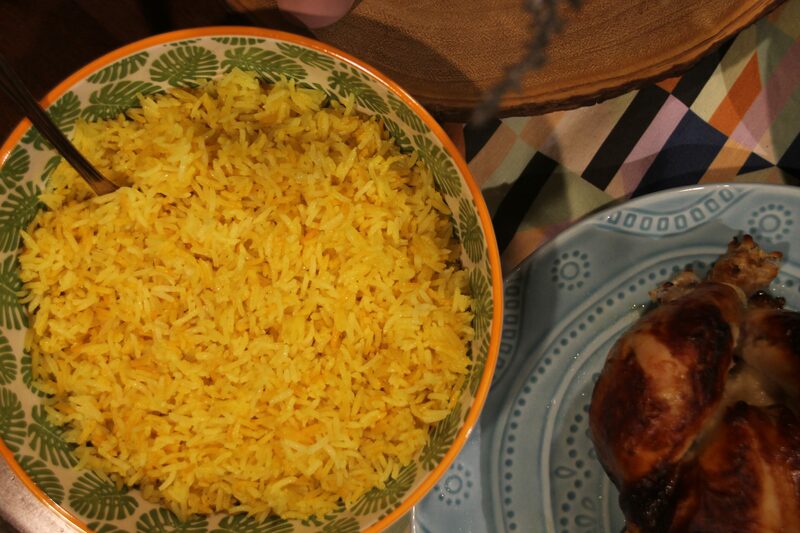 The Chelo almost Tadig rice was a bright and flavourful and complemented the chicken perfectly. 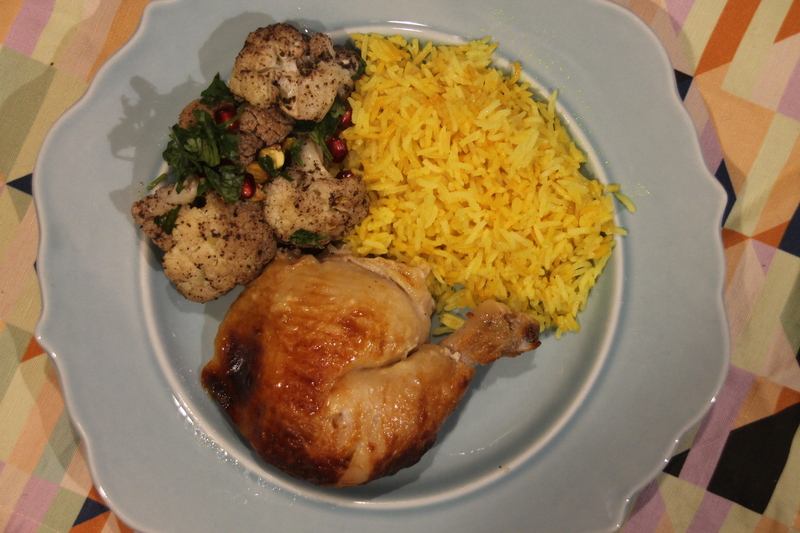 The veggies was a nice addition; but I really hate cauliflower and am still trying to find a way to love it. I could tolerate it in this dish; but I will swap it out next time for broccoli or Romanesco. The pomegranates added a tartness, while the cilantro and pistachios added a lemony and crunchy texture. This is a wonderful complete meal that received comments like “wow look at this feast” and “look so yummy” with those compliments all that time in the kitchen and prepping was very much worth it. Cook Time: 1 hr to 1 hr. 30 min. 2. Wash pumpkin and squash and de-seed and cut into pieces and place in a large bowl. 3. Coat squash with extra virgin olive oil and place in roasting pan and roast for 60 minutes. 5. Over medium heat, in a large Dutch oven pour in the vegetable stock and let cook. 6. Start peeling away the skin from the pumpkin and squash and add to pot. 7. Add salt, pepper, cinnamon and nutmeg and continue to cook for 30 minutes over medium-low heat. 8. At the 15 minute mark use an immersion blender to blend and let simmer. 9. Drizzle with some maple syrup and serve. •	Freeze a portion if desired. Another soup that was a hit. I love making variations to all of my soups; and why it took me so long to add maple syrup is beyond me. It’s really so obvious in the autumn months. 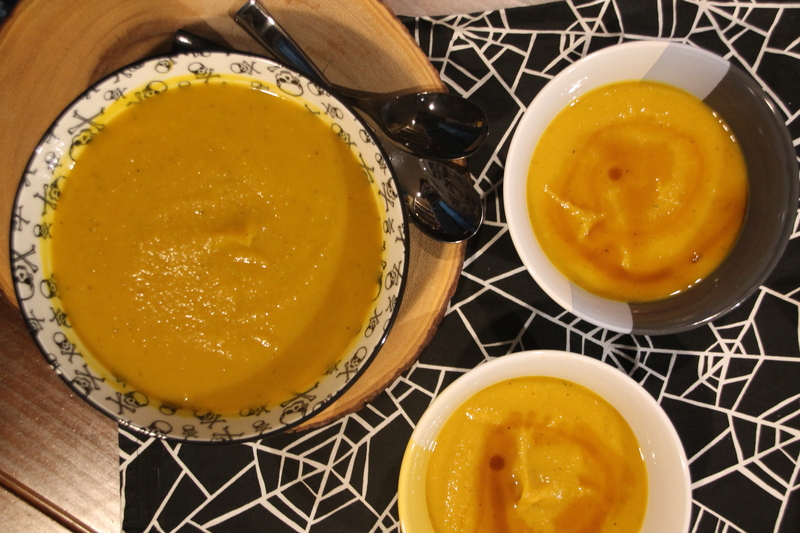 The maple syrup and warming spices added such a wonderful taste that this is high up on my list now as a go to soup. A light dessert for those who prefer fruit for dessert instead of the usual chocolate. 1. Zest 2 limes and put in a small prep bowl. 2. Finely grate another 2 limes and put into a small saucepan along with juice from the 6 limes and 1 ½ cups of water, sugar and ginger. 3. Heat on low at first stirring to let the sugar dissolve; then increase heat and let mixture boil. 4. Reduce mixture back to a simmer for 7 to 10 minutes or until its syrupy and let cool and chill. 5. Cut cheeks off the mangoes and eat the remainder of save for something else. 6. Slice cheeks and place in a shallow bowl or a high lipped plate and pour syrup over top. •	Make lime & ginger syrup a day ahead and save one lime skin to zest when ready. Such a simple and yet refreshing recipe. It’s like the fruit cocktails we all had as kids; but with a grown up flavour. I want to try this with other fruits now. Friday I found what is probably the last of the prickly pear and I knew immediately that it was time to dig out my ice cream maker. Freeze Time: 6 hours min. 1. Combine sugar and water in a small saucepan and place over low heat. 2. Swirl the pan every once and awhile until sugar has dissolved and then increase temperature to medium-high heat. 3. Let simmer for 8 minutes, then remove from heat, and let cool. 4. Store mixture in fridge until ready for use. 5. 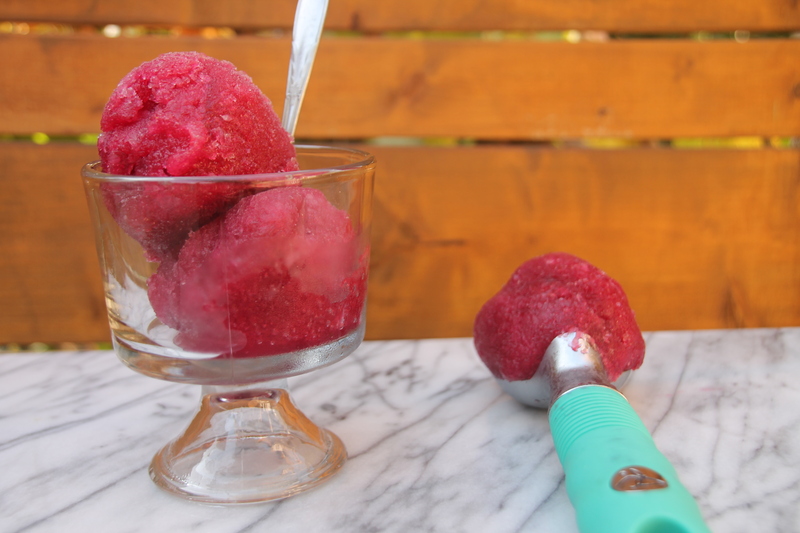 Peel prickly pear and rough chop and place in a food processor and process until a fine puree. 6. Transfer into a fine mesh sieve set over medium bowl and using a spatula press liquid into bowl and discard seeds. 7. Add in sugar syrup, lime juice and salt and plunge mixture into a ice bath and place in the fried until very cold. 8. Transfer mixture to ice cream machine and churn for 35 minutes or until soft waves form. 9. Transfer to a container and cover until solid, about 6 hours. 10. Before serving take out 10 minutes prior and then serve. 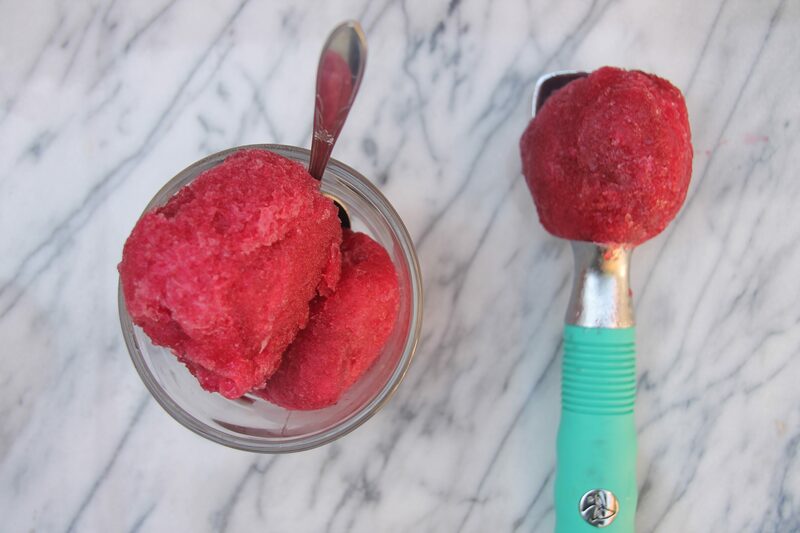 •	Sorbet will keep in freezer for up to a month. •	If you like the seeds keep seeds in the mixture. I can’t believe summer is almost over and I haven’t made any ice cream or sorbet yet. 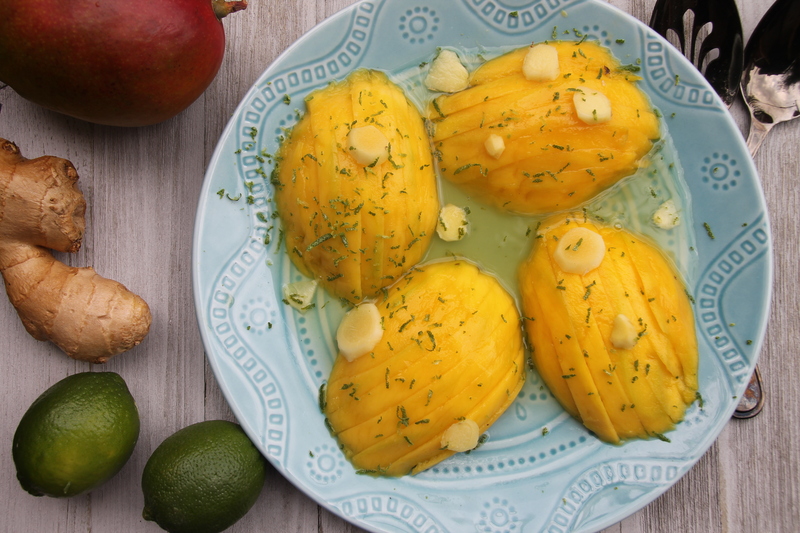 The cactus fruit has such a vibrancy that draws you in on first appearance; but then the distinct flavour that I have come to love just jumps out in this recipe. 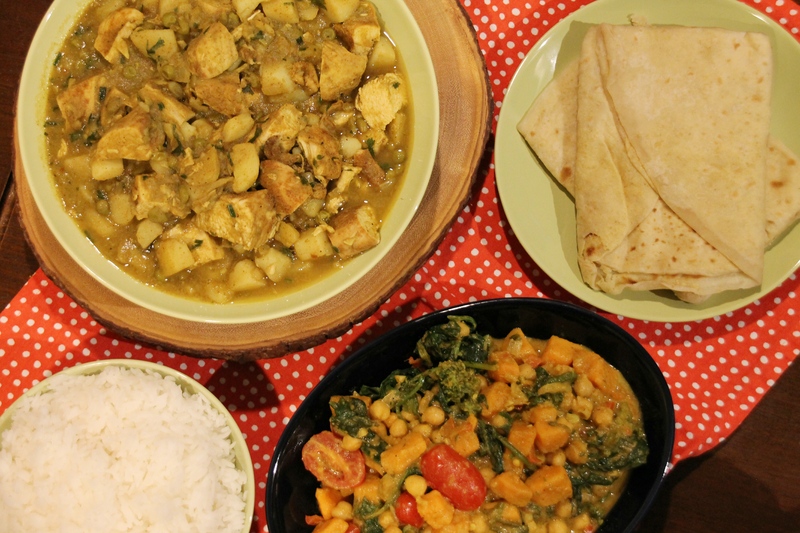 Now that I have found the right way to consume turmeric I want it all the time. 1. Assemble canning stations by creating a tidy filling station, cleaning the jars and lids and set up stove station. 2. Slice fruit in half and juice. 3. 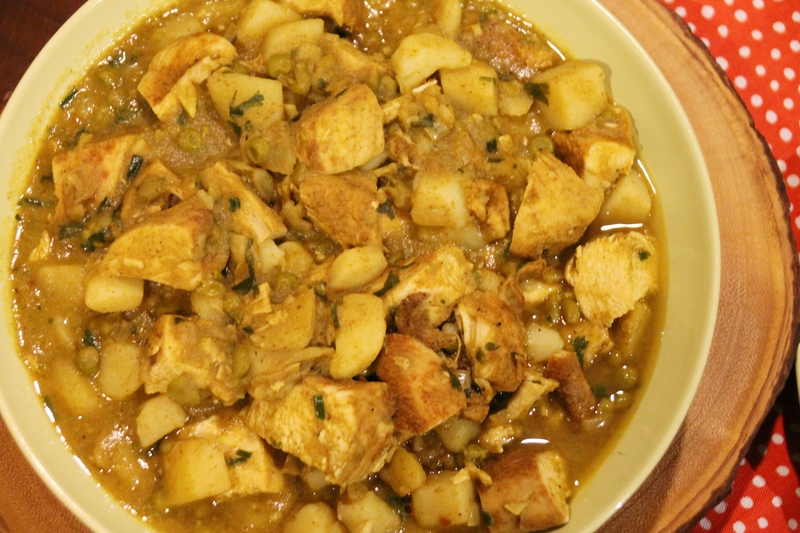 Mince ginger and turmeric. 4. Place juice, ginger, turmeric, honey, cayenne pepper and black pepper in a stainless steel saucepan. 5. Once boiling turn heat down to low and steep for 5 minutes. 6. Place contents into a blender and blend for 3 minutes until no peels or pulp can been seen. 7. Strain the contents of the blender through a sieve and pour into a heat resistant container to cool down. 8. At the filling station keeping the jars and juice hot, fill the jars using a funnel. Ensure you leave a ¼” headspace. 9. Wipe each rim and secure lids. 10. Place jars in the water bath covered in 1” of water and once the water boils process for 10 minutes. •	I have ginger and turmeric in my smoothies daily so I doubled the amount of it because I am used to these ingredients. •	Wear gloves when working with turmeric as it can stain counters, skin and clothes. I never need to do this of have an issue; but just take note. Since I’m such a turmeric and ginger fan I doubled up on those two ingredients because I can tolerate them easily. This is a very spicy juice and the cayenne and black pepper adds a real extra unexpected but great kick. 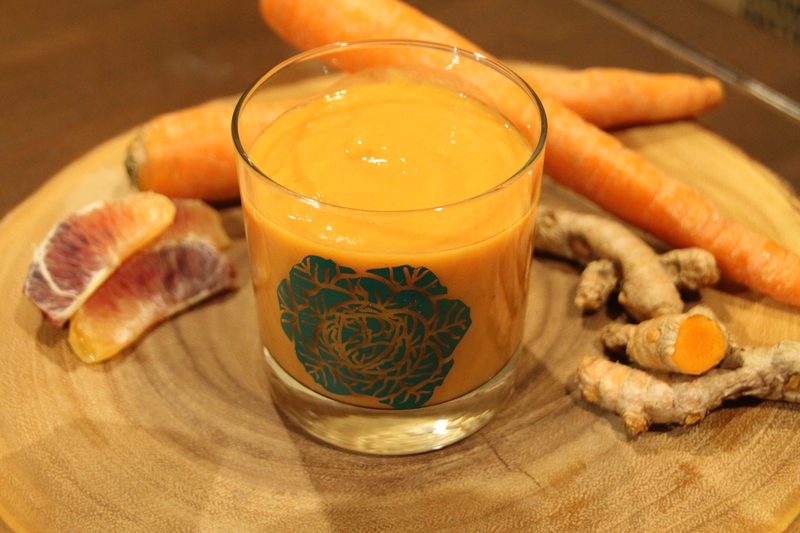 I enjoyed my shots straight or I put them in my daily smoothie to get those anti-inflammatory benefits. 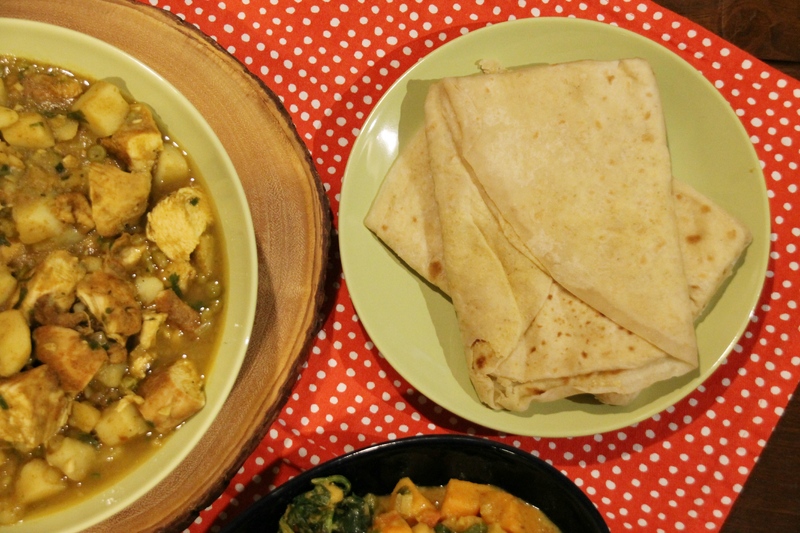 I wish I had doubled this recipe; but it just means I have to make this again soon.